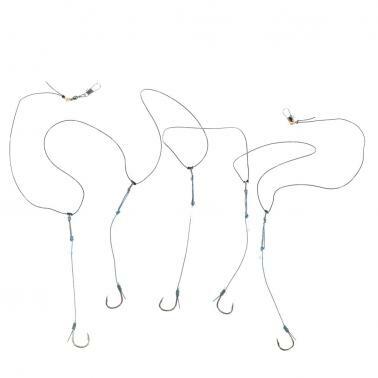 The string hooks can help you catch a lot of fish. Wonderful fishing tackle for fishing lovers. High quality nylon line and steel hooks, durable for long time service. 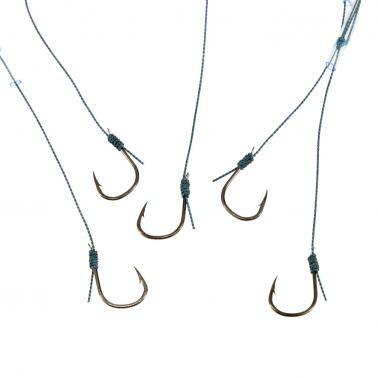 Five hooks are connected to the main line. 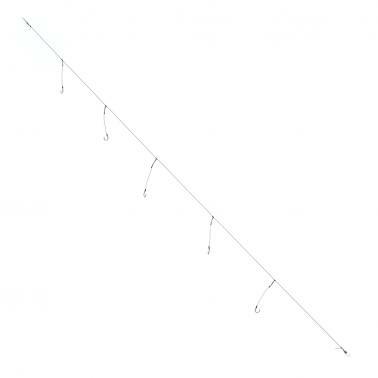 The hooks are very piercing and they can catch fish quickly. The small hoses prevent the hooks from convolving together.